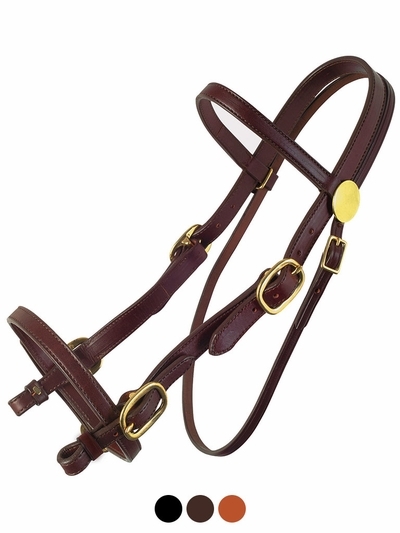 Tucker's famous plantation styled headstall is made of the finest doubled and stitched bridle leather, with 1" cheeks. Horse size. Crown 21 1/2", Cheeks 10", Noseband 23", Throat 38".